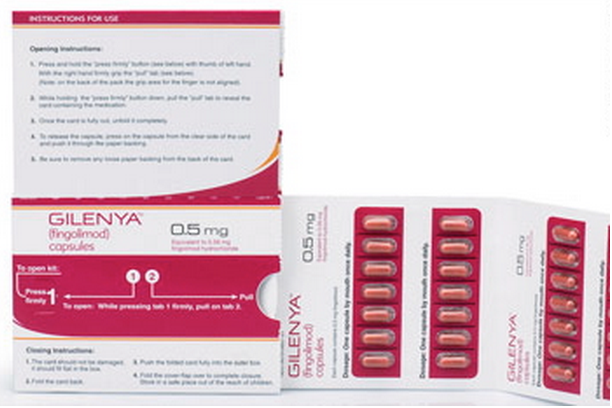 A recent warning and precaution has been added to the prescribing information for Gilenya® (fingolimod, Novartis AG), an oral disease-modifying therapy for relapsing forms of multiple sclerosis. The warning adds Cryptococcal fungal infections to the list of possible infections for which people taking Gilenya are at increased risk. Anyone receiving this or other medications that can compromise immune system function should promptly report any new or worsening symptoms – both MS-like symptoms and other symptoms – to their neurologist. The updated prescribing information approved by the U.S. Food and Drug Administration states that there have been cases of cryptococcal infections, including cryptococcal meningitis, reported in people taking Gilenya. Individuals and their healthcare providers should be alert to symptoms and signs that could indicate cryptococcal meningitis. This rare condition can be managed if it is diagnosed and treated promptly. Cryptococcus is a type of fungus that is commonly found in the soil throughout the world. The fungus becomes airborne and people may breathe in microscopic amounts. Most people never get sick from breathing the fungus; cryptococcus typically infects people who have compromised immune system function – which can occur from illness, or due to the effect of some medications, including some medications that are prescribed to treat MS. Infection with cryptococcus is uncommon, but it can be very serious and even lead to death if untreated. It is important to recognize the infection early and treat it promptly. The usual sites for cryptococcal infections are the lungs and the central nervous system (brain and spinal cord). The increased risk of many types of infection is also pertinent to people with MS who are receiving other powerful immune modifying or suppressing therapies. Therefore, it is important when receiving medications that can compromise immune system function to promptly report any new or worsening symptoms – both MS-like symptoms and other symptoms, such as those mentioned above – to your neurologist. It is also important to speak to with your doctor before making any changes to your medications.